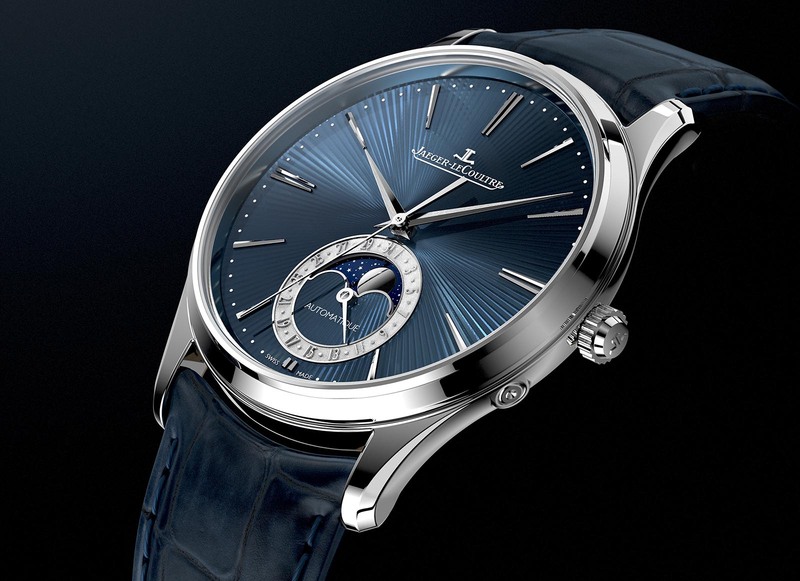 In the lead-up to SIHH 2019, Jaeger-LeCoultre has announced a deluxe iteration of one of its most popular models, the Master Ultra Thin Moon. 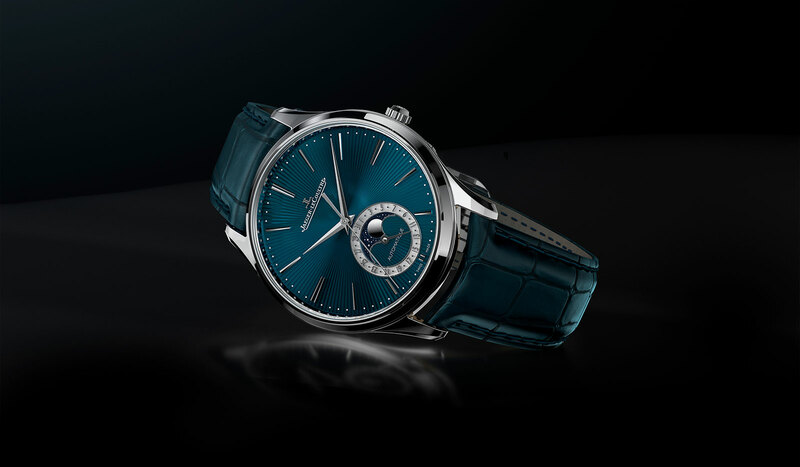 First introduced in 2012 with galvanic finish dials, the new Master Ultra Thin Moon has been upgraded with a deep blue flinqué enamel dial, in a limited edition of just 100 pieces. Flinqué enamel is a combination of enamelling and engine-turning. The dial base is first engraved with a guilloche pattern – done here the traditional way using a hand-operated rose engine – then painted with liquid enamel. It’s then fired in an oven to harden the enamel. 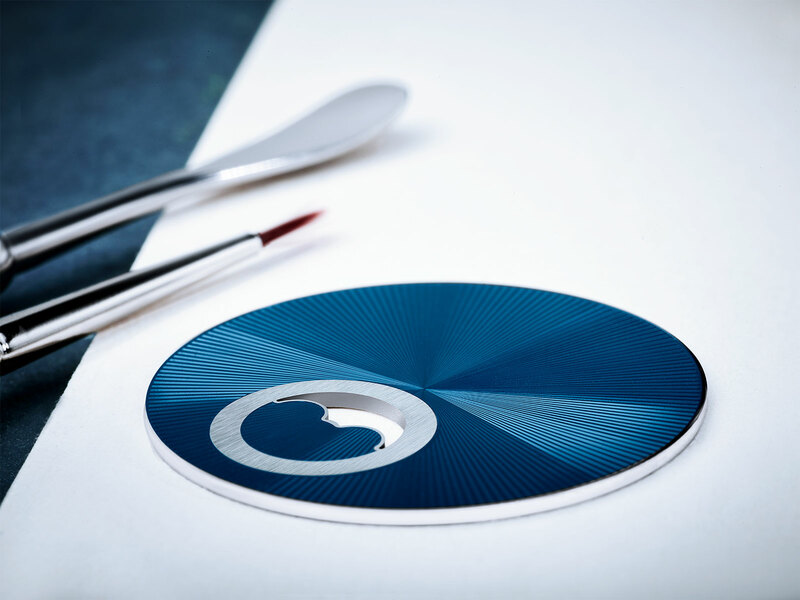 The process is repeated several times until the desired colour is achieved, after which the dial is then polished to give it a smoother surface and clear sheen. Apart from the new finish, several elements of the dial have been redesigned, giving it a greater degree of detail. The enamelled Master Ultra Thin Moon features slim, delicately elongated hour markers, a mirror-polished moon as well as a relief engraved date track with a frosted finish. Dial aside, the rest of the watch remains unchanged. The case is white gold and measures 39mm in diameter and 10.04mm high – a hair thicker than the standard version due to the thickness of the enamel dial. 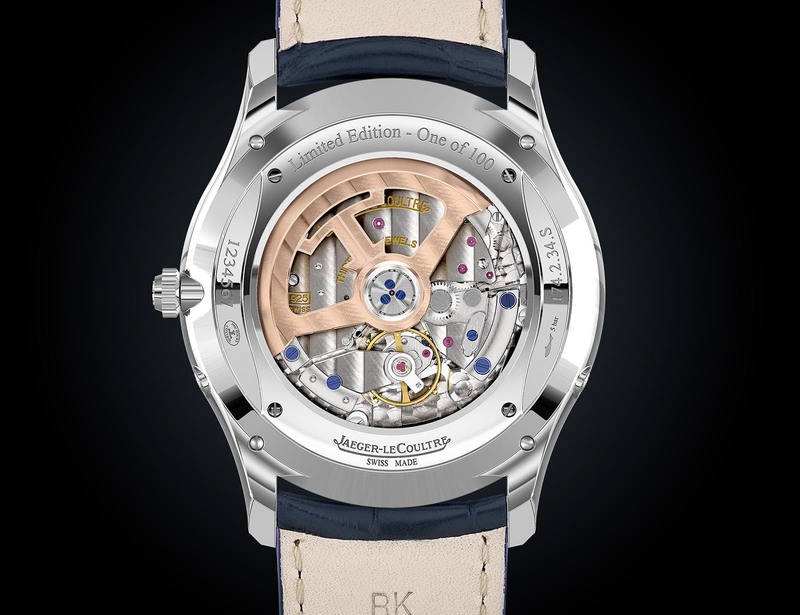 Inside is the ultra-thin automatic caliber 925/2 that stands just 4.9mm. It comprises 246 parts and has a 70-hour power reserve. The rotor is made of 18k rose gold, open-worked to form a large Jaeger-LeCoultre logo. 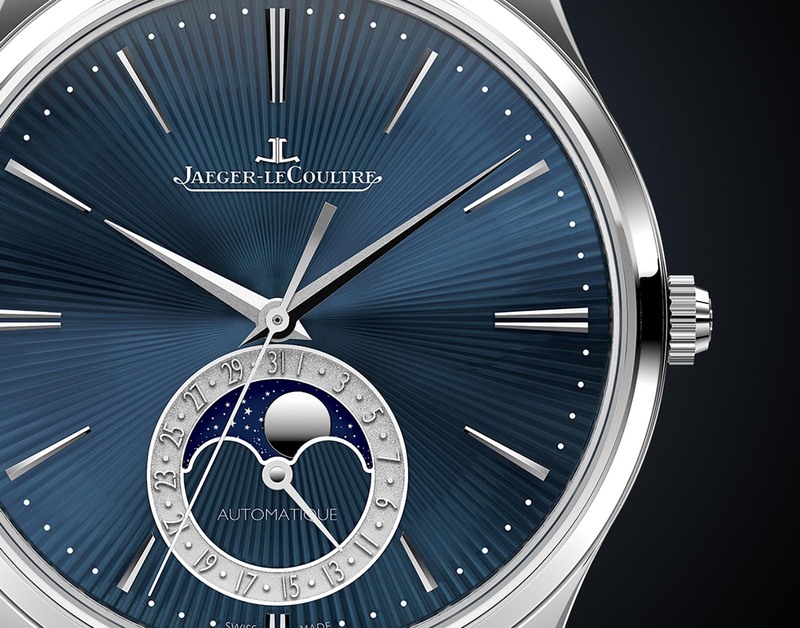 In typical Jaeger-LeCoultre style, the movement is decorated attractively, albeit mechanically, with the bridges finished with Geneva stripes, along with blued screws and perlage on the base plate. 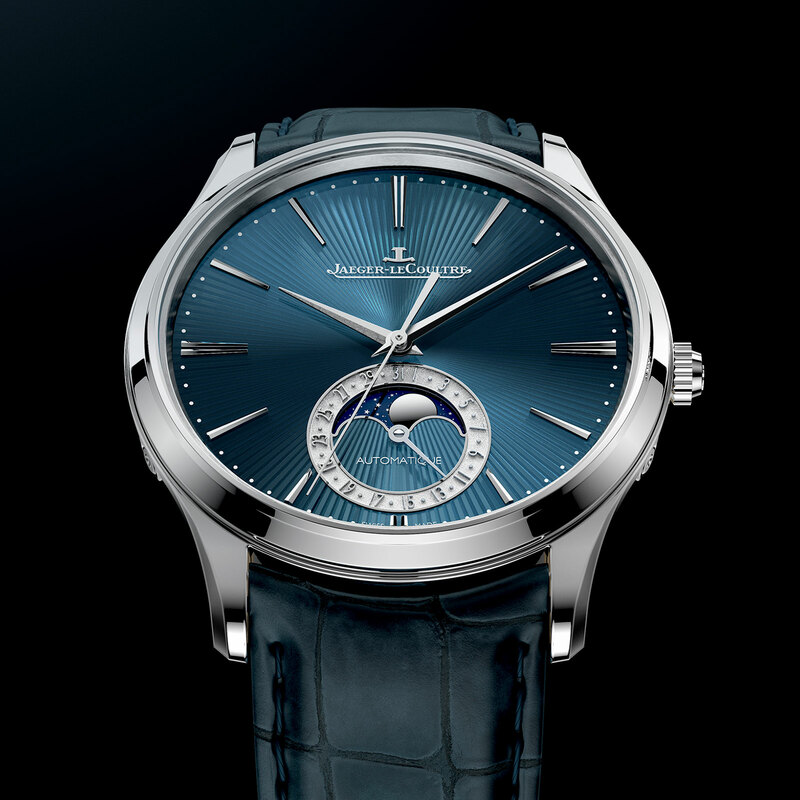 The Jaeger-LeCoultre Master Ultra Thin Moon Enamel (ref. Q13635E1) is limited to 100 pieces, with the retail price yet to be announced. But the same in white gold with an ordinary silvered dial is priced at US$18,800, so expect this to cost a good deal more, probably in the region of US$8000 to US$10,000 extra.